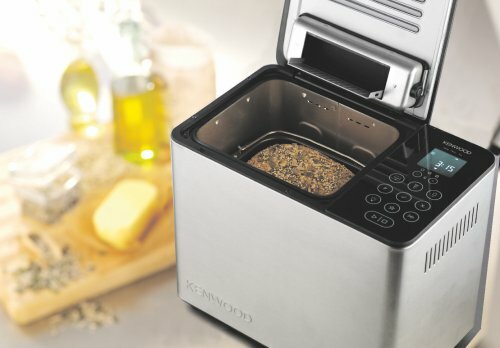 Kenwood are one of the giants in the kitchen appliance sector so you’d imagine that their bread maker would be a great buy wouldn’t you? Read on for our detailed Kenwood BM450 review and you can judge for yourself! Bread makers can be simple and just make one loaf of bread or they can be more complex with a variety of features and can allow you to experiment with different ideas. The Kenwood BM450 is the latter with many programmes allowing for a real expression of your love for bread! I love the fact that there’s even three different bread dough options – really enough for any baker! It looks good on the work surface, always a plus point if you’re planning to use it a lot – you don’t want anything ugly that you will want to be pulling in and out of cupboards! As well as this comprehensive list of programmes, you can also design your own which might be good if you have lots of experimentation in mind! You get 5 programme slots for your own ideas. The 12 hour delay is a great for if you want to wake up to fresh bread in the morning or to have it ready when you come home from work. It works with the first 6 programmes mentioned above. There’s also a 1 hour keep warm function so if you are delayed getting home or sleep through your alarm it won’t ruin the bread. Without this your bread would go all soggy from the steam. As well as giving my own review of the bread maker, I really like to scour the internet to get a wider view of what other people have said about this machine. Reviews are definitely more mixed for this product than I have seen for other bread makers and it’s not as clear cut whether it will be good for you. A little deeper investigation shows that many of the positive reviews are praising the Kenwood BM450 for being a sturdy and reliable model. The bread comes out really well (and that’s what is important) and it is a really good looking model. It’s something that looks really nice on the work surface. Negatives seem to focus heavily on the bread pan with many people saying that it doesn’t last very long before faults appear. You can buy replacement bread pans, but of course this isn’t the point! Overall there are still more positive than negative reviews, averaging at about 3.9 out of 5. In conclusion this is one of the better models out there but for the price, which isn’t insignificant, it does have some negatives that should be born in mind. 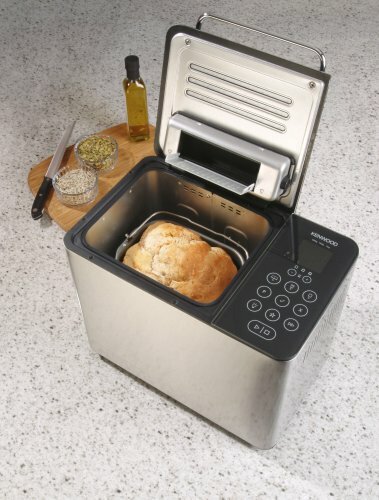 To check out my guide to the best bread makers click here where I review some other products.